Married at First Sight couple Shawniece Jackson and Jephte Pierre have had to adjust to major life changes this past year, including a new baby, and things aren't going to slow down any time soon. 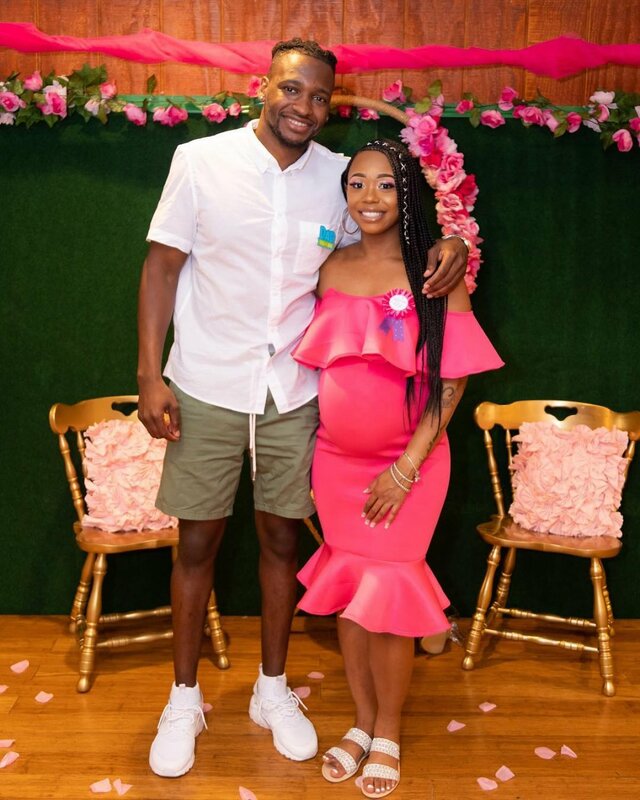 Shawniece and Jephte, who wed on Season 6 of Married at First Sight filmed in Boston, MA, are opening up about parenthood after announcing the birth of their daughter Laura earlier this month. "One minute you're dreaming of this perfect family and boom! You're picked to be married to a stranger and boom again, you're pregnant," Shawniece told E! News in an interview ahead of the premiere of the couple's new spinoff Married at First Sight: Happily Ever After. "If that's not big, I'm not sure what else can top that." In addition to Shawniece and Jephte, Married at First Sight: Happily Ever After will also star Ashley Petta and Anthony D'Amico as well as Danielle Bergman and Bobby Dodd. All three couples have developed a loyal fan base since starring on their original seasons of Married at First Sight. "Shawniece and I are genuine people and I feel like a lot of people are maybe able to relate to us," Jephte shared. "Our journey is different in that there wasn't love at first sight or an animalistic attraction to each other. But we're truly trying to build a relationship from scratch and in our story, there's so much to learn, value and appreciate." As shown on Season 6 of the series, Jephte couldn't wait to become a father. He would often joke with Shawniece about having a "Jephte Jr." and welcoming more kids than the average couple could probably handle. Jephte admitted fatherhood has made him "so weak" because he gets emotional all the time, while Shawniece disclosed she has become more strong and patient. "There is no book and not enough blogs, group chats and classes that can prepare you," Shawniece explained of motherhood. "At the end of every day, you will realize motherhood is the most rewarding position a woman can be in." Shawniece and Jephte tied the knot without even knowing each other's first names. They overcame many obstacles during the eight-week experiment but ultimately chose to stay together on "Decision Day." Shawniece and Jephte were matched by Married at First Sight experts Dr. Pepper Schwartz, Pastor Calvin Roberson and Dr. Jessica Griffin. "Like Pastor Cal says, 'Marriage ain't for punks.' Take that concept and multiple it times a million," Jephte admitted. "The easiest thing you can do is give up. Married at First Sight brought me to my first daughter and my wife. Shawniece and I still have plenty of work to do. We're nowhere near perfect, but I'm happy she was brought to me." Shawniece announced she and Jephte were expecting a baby just before the Season 6 finale of Married at First Sight aired in late April. Married at First Sight: Happily Ever After premieres at 10PM ET/PT, immediately following the second episode of Married at First Sight: Honeymoon Island on Lifetime.